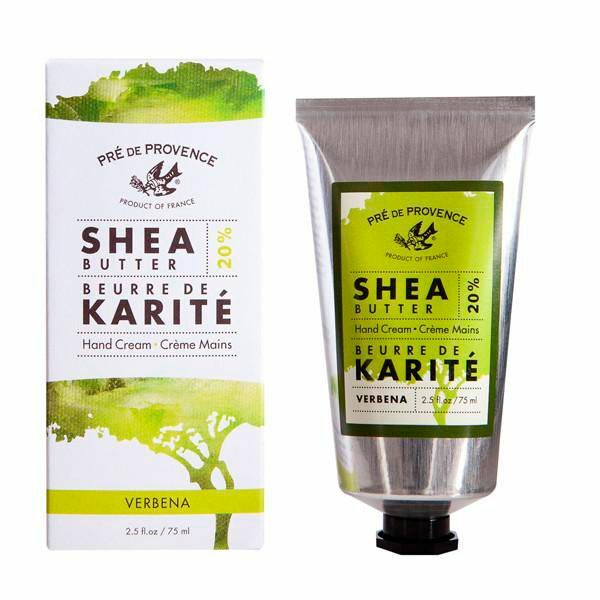 With a hearty 20% shea butter, this thick, rich hand cream is an everyday luxury. High in Vitamins A, E & F, the high shea butter content helps to soothe, balance, protect and revitalize skin. This cream is very moisturizing and nourishing to keep your hands soft; it absorbs quickly and doesn't leave your hands feeling greasy. Each package contains a full 2.5 fluid ounces in a nice metal tube. Beautiful and subtle, this cream is redolent with essential oils from African flowers and fruits and has a slight powdery scent. Lightly scented with bright verbena perfume, giving it a clean, uplifting scent.